The color splash or color pop effect on your photos can totally be created on the go – in real time – without using complex desktop photo editors or spending on graphic design services. However, there are a lot of color splash apps to choose from. 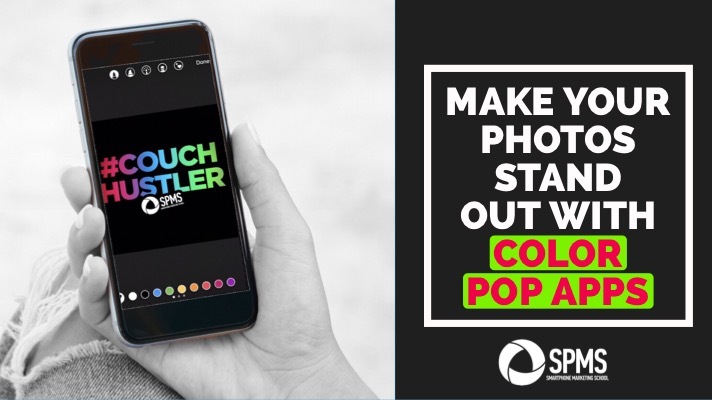 The following color pop photo editors are tried and tested by yours truly and can make your social media photos stand out through B&W/Color contrast effect. These four apps are presented in order of what I believe is easiest to hardest. The Color Pop app (iOS, Google Play) offers gorgeous effects, and it’s super easy for turning photos to B&W. 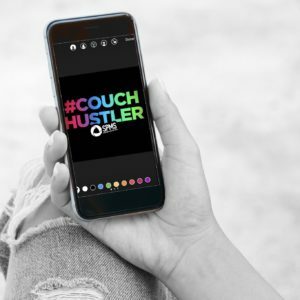 On Instagram, the color pop photo editor has more than 5 million fans that use it consistently to edit and post pictures on the go. Adding the color pop photo editor to your arsenal of photo editing apps can give you dramatic results. 1) Insert photo. The app will automatically remove all color from your photo. Now it’s time to selectively add the color back in! 2) The most import thing to remember (with any type of smartphone photo editing) is to always pinch and ZOOM. This increases your accuracy and overall professional look of your edit. 3) Make sure Color is selected at the bottom and brush over wherever you want to add color back in (and always ZOOM in as needed). 4) To erase any mistakes, tap Gray at the bottom. 5) Tap the eye icon anytime you want to check your work and see a before and after. 6) Tap Next and save to your camera roll. The Pic Collage app (iOS, Google Play) is a popular design app with versatility and an assortment of template frames. It has a built-in color splash feature and can be used to erase unwanted objects from the background. 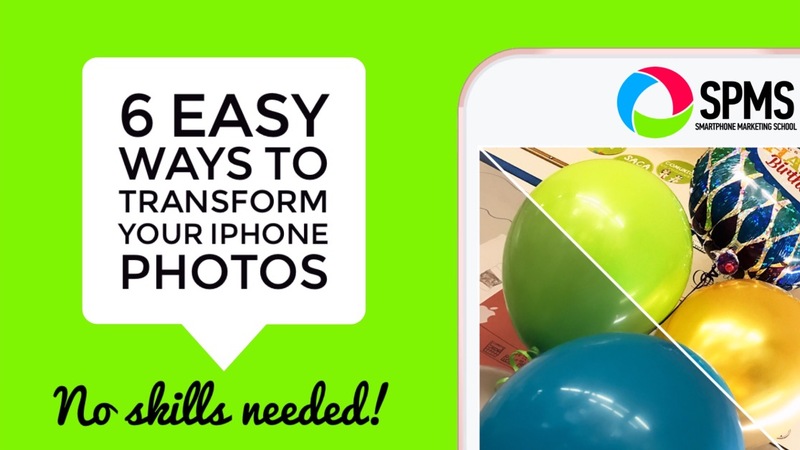 If you’re looking for an app for easy editing or retouching, then this is the app for you. 1) After you insert your image, you most likely want to adjust the styling to have your photo fill the complete background. To do this, tap Grid > tap the second icon from the left > move the handles outwards until your photo fills the space completely. 2) To access the Color Pop or Color Splash tool, double-tap on the photo > tap Effects > swipe over and tap Splash. Your photo will automatically be changed from color to black and white. 3) You can use the Free Color tool to add color back on any part of your photo. However, the Smart Color tool is super useful for being more precise and efficient. Tap on it and press on any color you want to add back in. Continue brushing wherever you want that color added back in WITHOUT LIFTING YOUR FINGER off of the phone screen. Once you life your finger and press it back down, it will start filling back in color from wherever your finger is now located. Make sense? I hope so! 4) Tap the Eraser tool to clean up any messy areas. Don’t forget to zoom! The Color Accent app (iOS only) is recommended for its eyedropper tool and the ability of the user to change hue and saturation for accent colors. With just a few clicks you can pick out specific colors or turn any picture onto grayscale. The app has a free version, but if you can afford to pay just $1, you will enjoy some fantastic features. 1) This app leaves the color in your image. Use the eyedropper located with the first tool icon to select the main color you want to keep in your image. Press the checkmark. It will now remove any color except for the one you selected. 2) To clean up, tap Remove Color and erase. To add in more color, tap Add Color and brush over wherever you want there to be color. The Pixomatic app (iOS, Google Play) is a fairly easy-to-use app or graphics manipulator for creating some fairly outlandish images. It can be used to change the background of pictures to gray and also add a blur to the background. The app is one of Apple’s “Great Photography Apps” because it can make smart cutouts and it’s adaptable across various platforms: iPhone, Android, Mac and iPad. 1) With the Pixomatic app, you’ll first isolate or “cut” the area you want to remain with color. To do this, tap Cut at the bottom of your screen and trace around the area you want to cut. You don’t have to be perfect. Just make sure you completely close your traced outline. 2) To clean up, tap Erase to remove areas you don’t want to have color. Tap fill to add in areas you want to have color. 5) Choose a filter. Slide the yellow line at the top all the way to the right if you want a complete black and white background. 6) You can also tap Blur if you’d like to add more blur to your background for a DSLR effect. 7) Tap the upload button to save to your camera roll. Whether you are a marketer or an individual who is enthusiastic about using phones to take pictures, hopefully one of the above recommend apps will help you make some stand-out posts on your business social media platforms. Try any of the apps to learn and achieve more. If you’d like to remember this post on color pop apps, then pin this post to your Pinterest account. 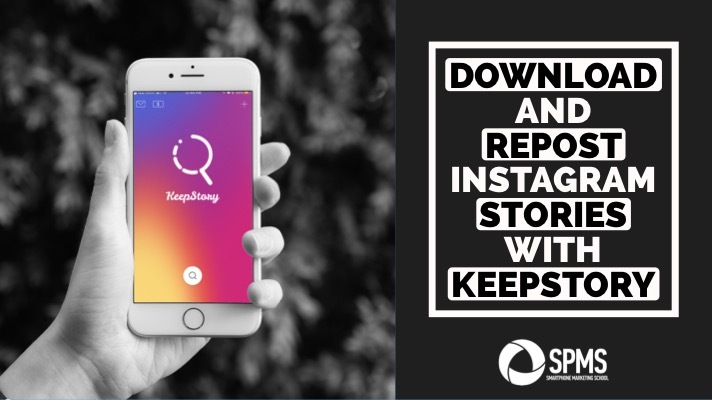 Next article	Download and Repost Instagram Stories Quickly!